Two brain hemispheres are unequally involved in the processing of social stimuli, as demonstrated in a wide range of vertebrates. A considerable number of studies have shown the right hemisphere advantage for social processing. At the same time, an approach–withdrawal hypothesis, mainly based on experimental evidence, proposes the involvement of both brain hemispheres according to approach and withdrawal motivation. The present study aimed to test the relative roles of the two hemispheres in social responses displayed in a natural context. 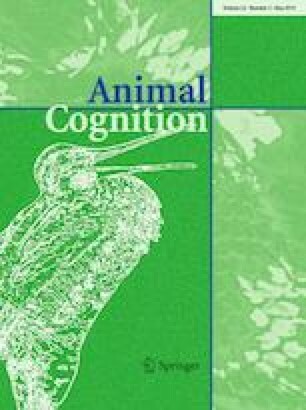 Visual biases, implicating hemispheric lateralization, were estimated in the social interactions of saiga antelope in the wild. In individually identified males, the left/right visual field use during approach and withdrawal responses was recorded based on the lateral head/body position, relative to the conspecific. Lateralized approach responses were investigated in three types of interactions, with left visual field bias found for chasing a rival, no bias—for attacking a rival, and right visual field bias—for pursuing a female. In two types of withdrawal responses, left visual field bias was found for retreating after fighting, while no bias was evident in fight rejecting. These findings demonstrate that neither the right hemisphere advantage nor the approach–withdrawal distinction can fully explain the patterns of lateralization observed in social behaviour. It is clear that both brain hemispheres play significant roles in social responses, while their relative contribution is likely determined by a complex set of motivational and emotional factors rather than a simple dichotomous distinction such as, for example, approach versus withdrawal motivation. The online version of this article ( https://doi.org/10.1007/s10071-019-01259-0) contains supplementary material, which is available to authorized users. We are grateful to Anna Lushchekina and the staff of Stepnoi State Nature Sanctuary, and especially Vladimir Kalmykov, for valuable support and assistance during data collection. This work was supported by the Russian Science Foundation (Grant No. 14-14-00284). All applicable international, national, and institutional guidelines for the care and use of animals were followed. All procedures performed in the study were in accordance with the ethical standards of the St. Petersburg State University ethical committee (Permit No. 131-03-4). Informed consent is not applicable to the study since no human subjects were included in the study. Supplementary material 1 (PDF 684 kb) Online Resource. Output of binary logistic regression model used to analyze possible associations of visual field use (dependent variable) with the type of interaction, males’ age and year of study (independent variables).